The 1972 Stanley Cup Final NHL championship series was contested by the Boston Bruins and the New York Rangers. It was the Rangers first appearance in the championship final series since 1950. 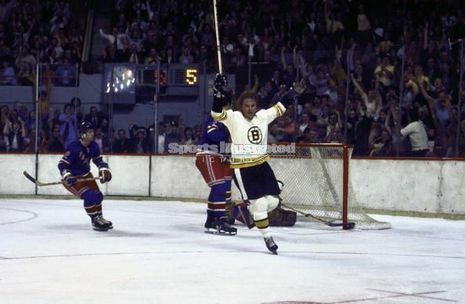 The Bruins were making their first appearance since their victory in the 1970 Final. It was the second Boston-New York Final series, the other being the 1929 Final. The Bruins would win the best-of-seven series four games to two. Boston was led by Bobby Orr, who scored 4 goals and 4 assists in the final, including the Cup winner, and won the Conn Smythe Trophy for the second time. Game one in Boston saw both teams play poorly and Boston prevailed 6–5 on Ken Hodge's hat trick. Gary Doak of the Rangers was ejected from the game after a heated argument with referee Bill Friday over a penalty he received at 18:50 of the first period. Game two had Gilles Villemure replace Ed Giacomin in goal for the Rangers. He played well, but the Bruins did too and won 2–1. In New York, Giacomin was back in goal for game three as the Rangers won 5–2. Brad Park opened the scoring with a power play goal and scored another in the first period. Rod Gilbert also had two goals in the game. Giacomin was having trouble with a knee he injured during the Chicago series and lost game four 3–2. Game five in Boston had Villemure again replace Giacomin and Bobby Rousseau's goal at 12:45 of the third period was the winner in a 3–2 win for the Rangers. Game six in New York saw Boston play flawlessly and Gerry Cheevers picked up a shutout, 3–0. Bobby Orr had a goal and an assist. Wayne Cashman scored two goals, one of which trickled in behind Gilles Villemure. 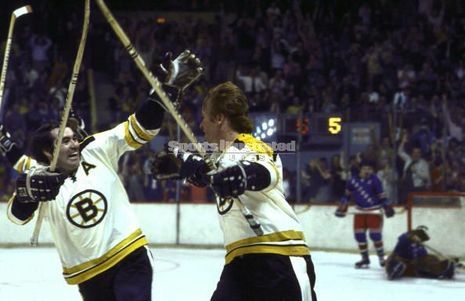 Led by hockey's best defenseman, Bobby Orr, the Boston Bruins faced the New York Rangers in the Stanley Cup Finals. The Rangers fought gallantly in efforts to avenge their Cup loss to Boston in 1929. Boston proved too much and won the series four games to two. Orr scored the Cup-winning goal, again, and captured his second Conn Smythe Trophy, becoming the first player to win that award twice. Orr registered eight of his 24 playoff points in the finals. 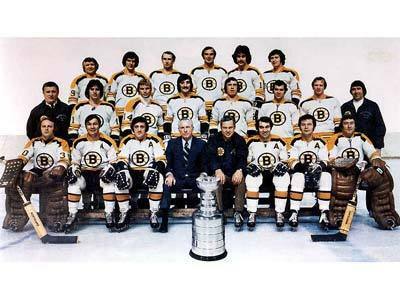 Although the 69-70 Bruins were the first team to bring the Stanley Cup to Boston in years, the 71-72 team was the team that I remember the best. The Bruins went 54-13-11, and beat the New York Rangers in 6 games to win the cup. Phil Esposito won the scoring title with 66 goals and 67 assists. For the 2nd year in a row he scored his 50th goal on his birthday, February 20th. Bobby Orr won his 3rd consecutive Hart Trophy, his 5th Norris Trophy and won the Conn Smythe Trophy for the 2nd time. Goaltender Eddie Johnston had 4 assists, setting a record for assists by a goaltender. The year is 1972. The Boston Bruins get back on top of the National Hockey League. The Bruins battle the New York Rangers, winning in six games. The Bruins high powered offense is led, as always, by Bobby Orr and Phil Esposito, who tie for the league lead in playoff scoring with 24 points each. Johnny Bucyk is third with 20, while Pie McKenzie and Ken Hodge tie for fourth, along with the Rangers' Bobby Rousseau, with 20 points. 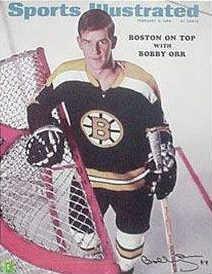 Orr, who led all players with 19 assists, was named as the Conn Smythe Trophy winner, making him the first player ever to win multiple playoff MVP awards.